When it comes to the publishing industry, nobody has disillusioned as many readers as the V.C. Andrews estate. Take My Sweet Audrina. For years, it was known as one of her few stand-alones, but she will finally release a sequel this summer—almost thirty years after her death. Everyone understands it wasn’t spectral writing that generated her last sixty-some books. That’s how it goes when something works. Apparently, V.C. Andrews television movies have also been working for Lifetime. 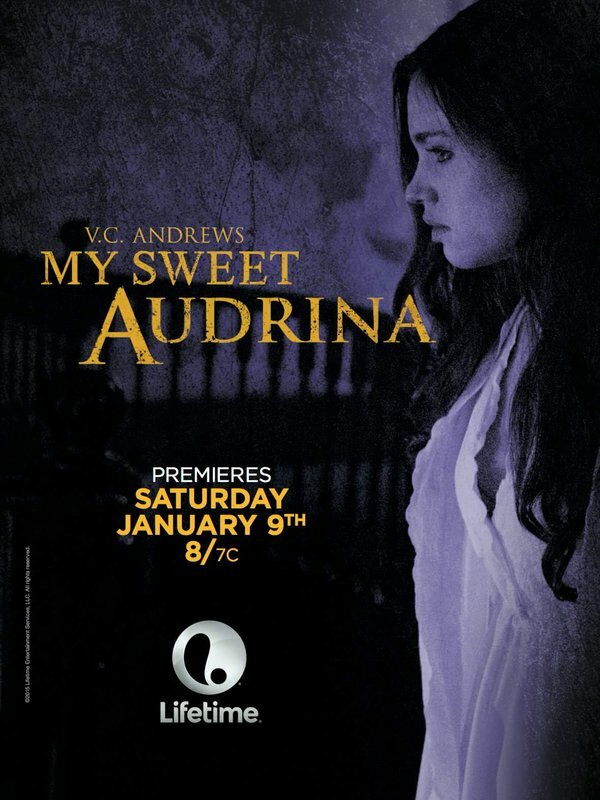 This time, they have adapted her number one bestseller, My Sweet Audrina (trailer here), which premieres on the network this Saturday. Believe it or not, Audrina Adare has had a really messed up childhood. She is actually the second Audrina Adare. The first was her late older sister, who brutally raped and murdered in the woods outside the stately Adare manor, Whitefern. Audrina II was named after her, and groomed to take her place. Good luck with that baggage. Still grieving Audrina I, Damien and Lucietta Adare tightly control Audrina II’s life, forbidding her to step outside by herself. She never attends school and boys, like the obviously interested caretaker’s son Arden Lowe are absolutely out of the question. Yet, somehow they are never around when Audrina II is bullied by her cousin Vera, who apparently thinks she is Audrina II’s step-sister, so she probably is, this being based on a V.C. Andrews novel. For some reason, Vera and her mother, Lucietta’s sister Elisabeth live with them in Whitefern. That Vera will be tough to get rid of, even after her mother takes a tumble down the grand staircase. Indeed, it will be quite a dangerous architectural feature of Whitefern. Look, at least Audrina II and Lowe are not brother and sister—that’s not even a spoiler, per se. All things considered, the Adares are pretty healthy in comparison to other V.C. 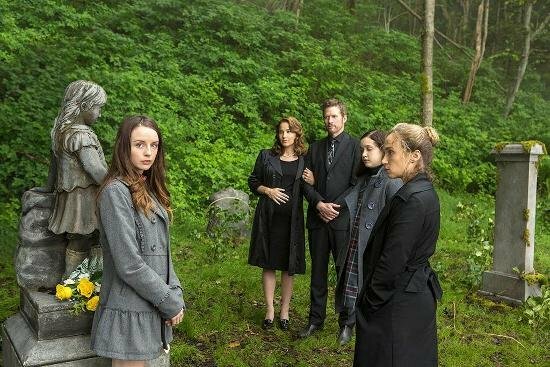 Andrews families. Audrina II will even start to grow up and assert herself before shocking and scandalous stuff starts happening again. My Sweet Audrina is laughable in obvious ways, but it is still a fairly competent production. It is just impossible to take this luridly purple YA hothouse tale and transform it into the Magnificent Ambersons. Still, there are weird distracting elements, like the wealthy Damien Adare, who will decide to renovate Whitefern on a whim, but cannot afford a Bic razor. Also, Vera seems to have an enchantress’s powers of seduction, but it is lost on the screen. On the other hand, India Eisley, whom probably nobody in the film’s target demographic will recognize from the anime live action remake Kite, is appropriately lovely and delicate as porcelain doll. Even if you are snarking at the film, you will sort of feel for her. Veteran television director Mike Rohl never really pulls viewers into this macabrely cloistered setting and the look of the picture just screams made-for-TV. It is goofily over-heated, but that is probably how fans want it. 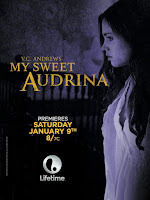 Highly riffable, My Sweet Audrina airs this Saturday (1/9) on Lifetime, the V.C. Andrews network.